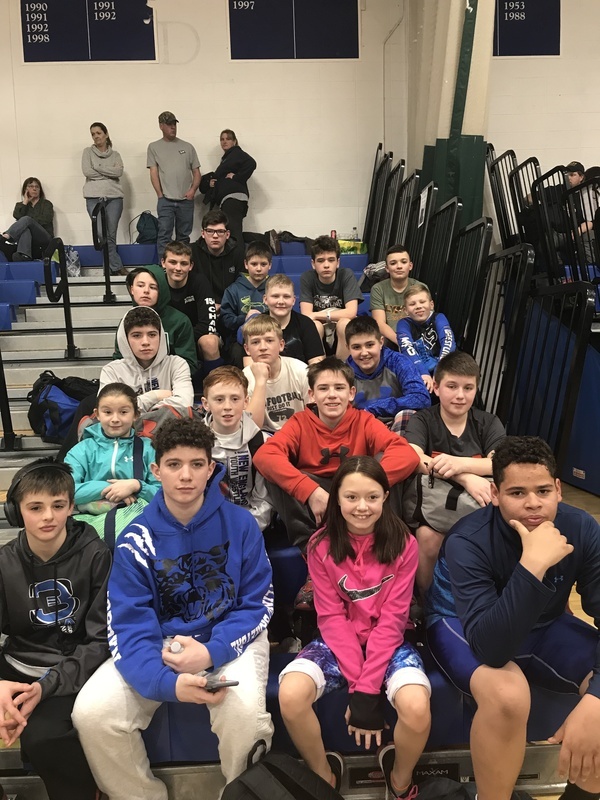 The wrestling team finished their season with a Penquis League championship this week. Individuals who placed are: Cole Albert- 1st, Owen Harper- 1st, Zachary Doyel- 2nd, Kameren Doane- 3rd, Ethan Troxell- 1st, Brayden Irish- 1st, Jordyn Colorado- 1st, Cody Smith- 2nd, James Dube- 1st, Isaac Hainer- 1st, Wyatt Rhoades- 3rd. The team also competed at the Pine Tree Wrestling League State competition last weekend and finished 6th out of 24 teams. Individuals who placed are: Cole Albert- 1st, Connor Langerak- 3rd, Jordyn Colorado- 2nd, and Isaac Hainer- 1st.